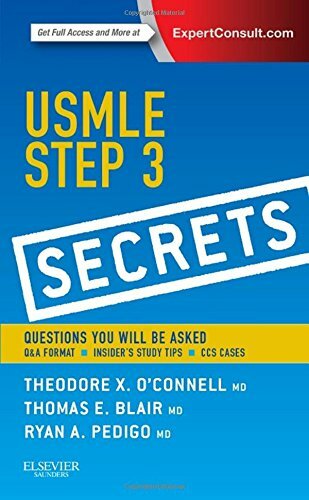 Following the popular, time-tested Secrets Series® format, this enjoyable, easy-to-read book is extremely effective for ensuring success on one of the most important exams you’ll take in your medical career. Get the most out of your study time with a concise, integrated, clinical overview of Step 3 content, perfect for a refresher and practical preparation for this high-stakes, vignette-style exam. Benefit from the highly engaging Q&A format that interactively reviews your knowledge of diagnosis, treatment, and management of common disorders. Carry it with you and study at your convenience – anytime, anywhere. 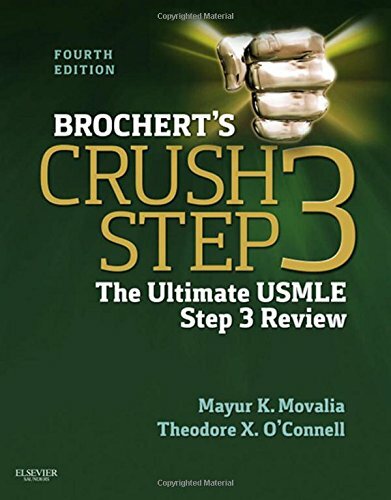 Tap into the knowledge and experience of co-authors who have all scored extremely well on all steps of the USMLE. Zero in on key information with figures, tables, and summary boxes that provide a concise visual overview of important board-relevant content. Apply tips, memory aids, and "secrets" gathered by Dr. O’Connell and used by students to pass the boards. Over 100 high-yield figures illustrate important concepts, conditions, and imaging modalities. Get tips, insights, and guidance on how best to prepare and what to expect with the reader-friendly, succinct, and engaging writing style of best-selling author Adam Brochert, MD.